We can provide all your investment and real estate needs. 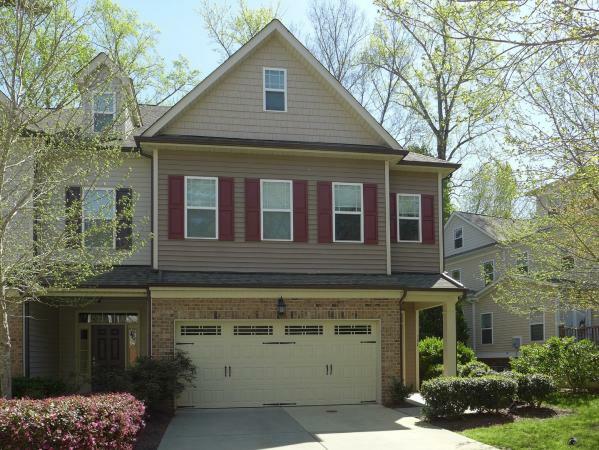 This attractive row home is located in Rose Walk in Carrboro. 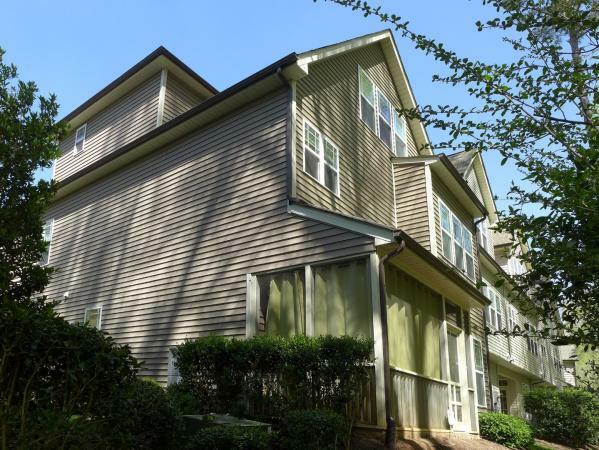 This neighborhood is convenient to walking trails and neighbors University Lake with picnic area, boating, fishing, and The Chapel Hill tennis Club. There is a bus line nearby. 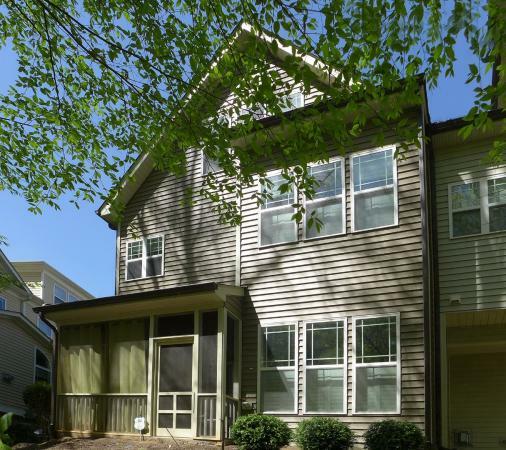 This location is just 1.5 miles to downtown Carrboro and 2.5 miles to UNC and downtown Chapel Hill. 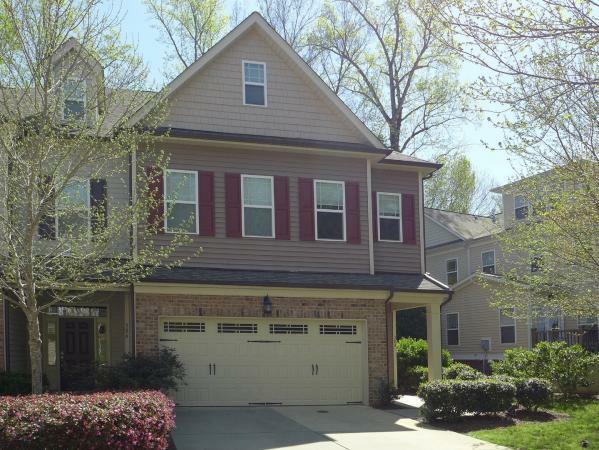 This three level end unit, features a bright and open floor plan. The living room is open to the kitchen and dining space - all with hardwood floors. There is a corner gas-log fireplace with marble surround and a ceiling fan in the living area. The kitchen features granite counter tops, tile backsplash, attractive cabinetry, a center island with a breakfast bar, stainless appliances, a pantry closet, and recessed, pendant and under counter lighting. 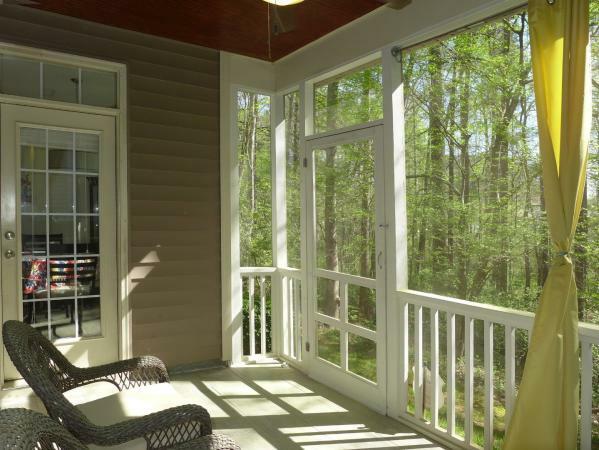 There is an exit from the dining area to the screened porch on the back side of the home. 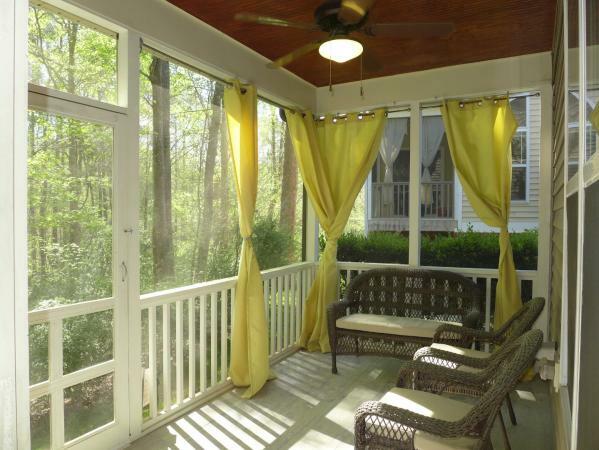 The screened porch has tile flooring and a ceiling fan. An entry vestibule off the kitchen offers entry to the two-car garage. This space includes a built in hall tree with shoe bench. A half bathroom completes the main level. There are plantation shutters throughout the main level of the home. The bedrooms are on the upper two levels, all with carpet. Three bedrooms are on the second level. The master bedroom features a trey ceiling with a fan, plantation shutters, and an en suite master bathroom. The master bathroom has a dual sink vanity, a soaker tub, a separate shower with tile surround, and a large walk in closet. A second bathroom and the laundry room are on this level. The laundry room has built-in cabinets, a closet, and washer-dryer hook-ups. The fourth bedroom with a walk-in closet and the third bathroom are on the third level. This spacious room could be used as a bonus. The bathroom has a tile shower. There access to attic storage from this level of the home. All of the bathrooms and the laundry room have tile flooring. This home pre-wired for a home theatre. Pet with fee and prior approval. Unfurnished - furniture in photos is not included. © Louise Beck Properties, Inc. - All Rights Reserved.